Granite Direct is a family owned and operated granite, quartz and marble wholesaler and fabricator located in Denver Colorado. Locally, there are only a handful of wholesalers that also fabricate and only a handful of fabricators that own and sell their own materials. Most wholesalers cater to fabricators and protect their interest by not disclosing the slab prices to the public, selling only to fabricators, who then mark-up the material and pass that cost along to you, the end user. 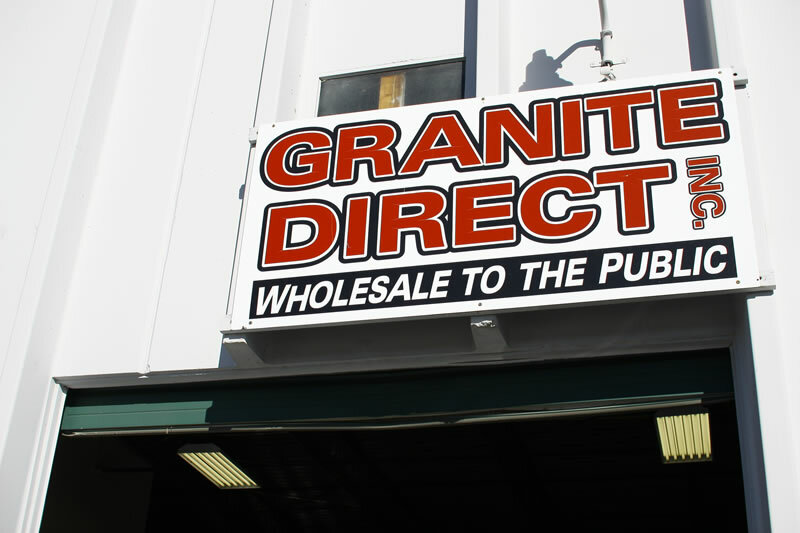 At Granite Direct, we offer all of our materials directly to homeowners, builders, remodelers, interior designers, and we are able to offer low, wholesale prices direct to our customers because we import our slabs directly from the quarries and keep our overhead low. The public is welcome to visit our 10.000 square foot warehouse in Denver, Colorado where all of slab prices are clearly posted on each slab. We offer very competitive prices for fabrication and installation and generally can complete your project within 2-3 weeks after your material is selected. We invite anyone who is interested in straight forward, honest, fully disclosed and factual discussions about their countertops, choice of materials to visit us at our warehouse Monday through Saturday. We are your “one stop shop” because we carry our own inventory and will measure, cut, polish and install your countertops within 3 weeks.